Rich with nature, history and brunch cafés. “Oh, Seongbuk-dong is very beautiful,” remarks the taxi driver as he drives along the Bugak Skyway to get to Alex the Coffee. In the morning sunlight, there’s hardly a shadow from one architectural marvel to the next. 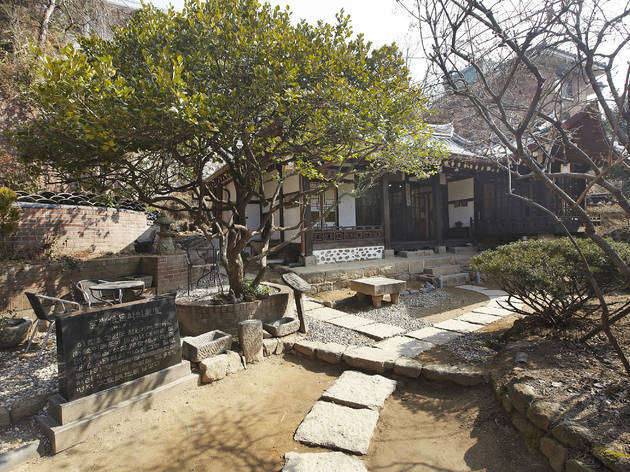 Weaved into the neighborhood are relics of the past: Late author Choi Sunu’s hanok, the villa of 1900s merchant Yi Jong-seok and the teahouse, Suyeonsanbang, once home to the late author Yi Tae-jun. The significance of these places seems especially pronounced in contrast to the Western-style churches, embassies and diplomatic residences. 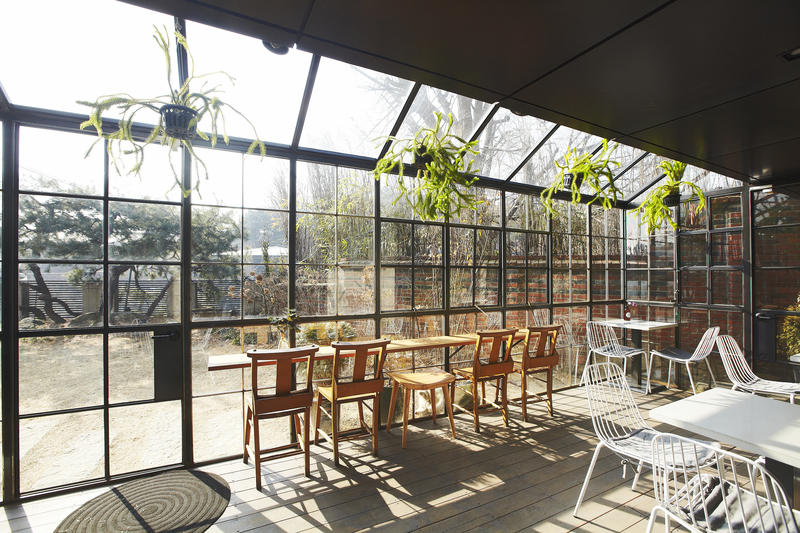 The latter establishments have made for an unusually large demographic of foreigners in the neighborhood, despite its relatively long distance from central Seoul. 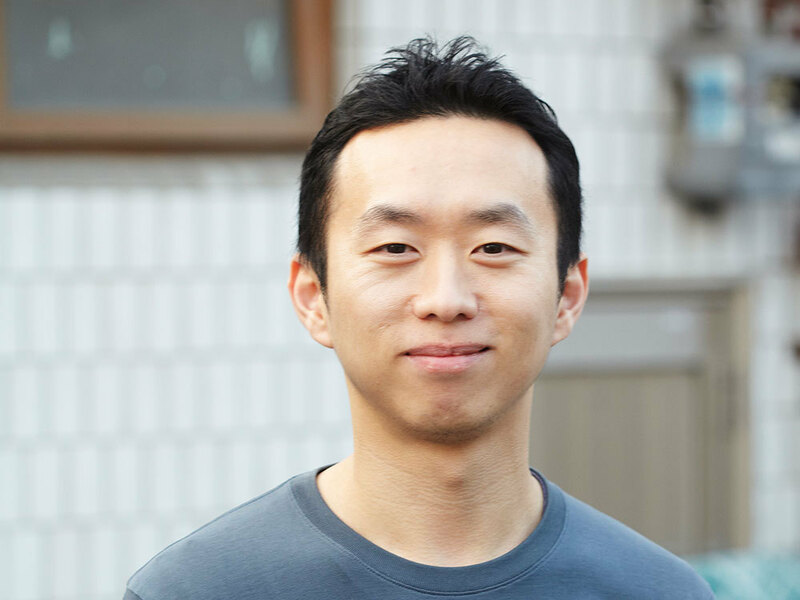 Late last year, the current head of the Seongbuk-dong district office, Kim Young-bae, announced his plans to turn this neighborhood into more of a tourist attraction, hence the number of hotels, brunch cafés and Airbnb listings in the surrounding area. On a weekday morning, the streets are nearly empty save for a group of 50s-something Korean hikers and the occasional mother and son combination (Seongbuk-dong actually won a UNICEF Child Friendly City certificate in November 2013). Outside the quiet cafés, there’s the distant sound of construction, and you can’t help but hope that no one will demolish Seongbuk-dong’s intrinsic beauty. Well known for its simple designs and fresh coffee, Alex the Coffee is no stranger to the café industry. 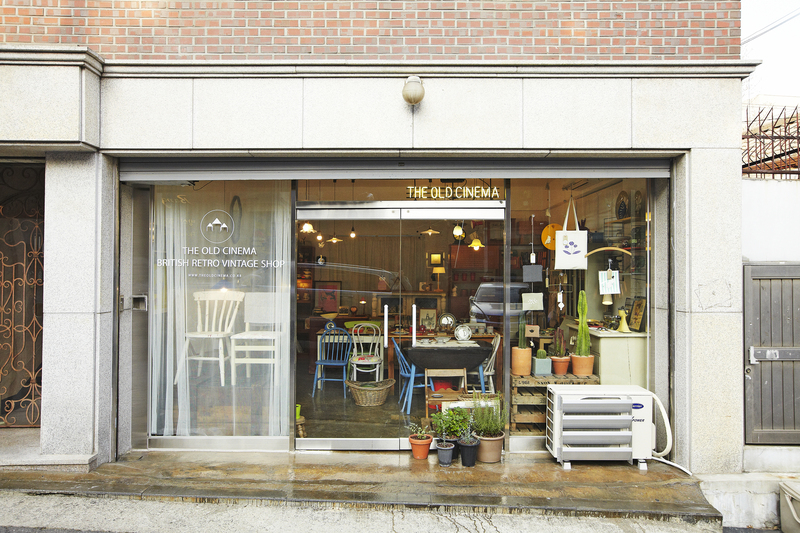 The Yongin location, from where the beans are brought daily, was awarded the Red Dot Design Award in 2013 for its ability to “convey the authenticity of the coffee,” and the Seongbuk-dong location, which opened late last year, doesn’t fall far from the tree. After ordering coffee from the first floor, you can take your drink to any spot on the second floor that’s available. While the menu has your typical Americano, there are slightly more interesting options such as the Alexano, the Fat Americano and the White Blanc. Lounge jazz music plays throughout the café and a portion of the seating area on the second floor resembles a greenhouse. Having an ice coffee in the café’s outdoor space during the summer could be killer, but we were warned that there are already lines out the door every weekend. The dimly lit small store, TEACHAICHA, can look deserted at first glance. However, once past the front doors, you might find that the low lighting helps to bring out the whirlwind of scents hidden inside. Colorful tins of tea line the back wall, which is full of exotic blends and tea leaves from all around the world, including India, England, Canada, Denmark, Australia and more. The 200 or so different types of tea are selected according to taste and their unavailability in Korea. 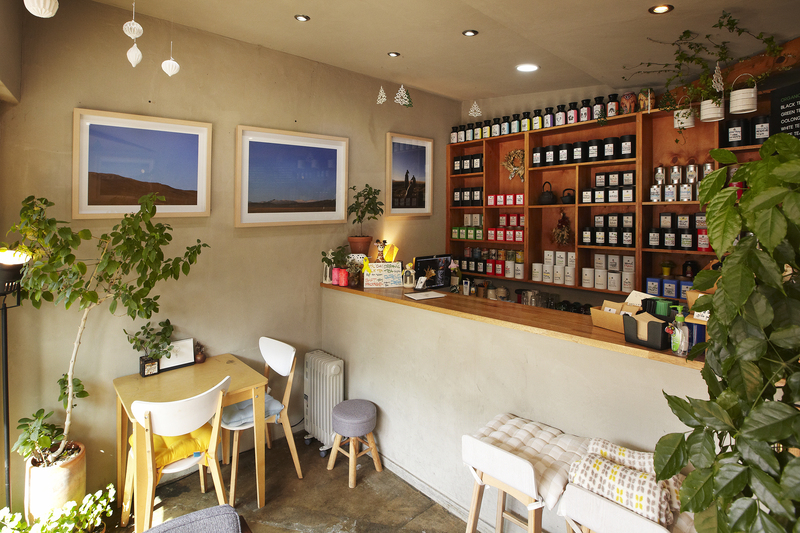 The owner tries to bring selections that are unknown here in order to raise awareness about the wide varieties of tea. In preparation for spring, TEACHAICHA will have bright floral flavors and a range of ice teas to complement the warm weather. “Kkul-mat” literally means “honey-taste” in Korean, and it is a slang term that is used to say something is as sweet and delicious as honey. But don’t think the chef and owner is so arrogant as to call his food “kkul-mat”; he explains the name actually means he’s attempting to emulate the taste of honey. With long lines for dinner even on weekdays, it’s safe to say he’s succeeding. Their sweet sauce nicely complements the two-layered Japanese-style hamburger steak oozing with cheese. The flavorful food and fresh seasonal ingredients taste even better in the Instagramworthy interior—making it a hit with everyone from young college students to neighborhood grandmas. 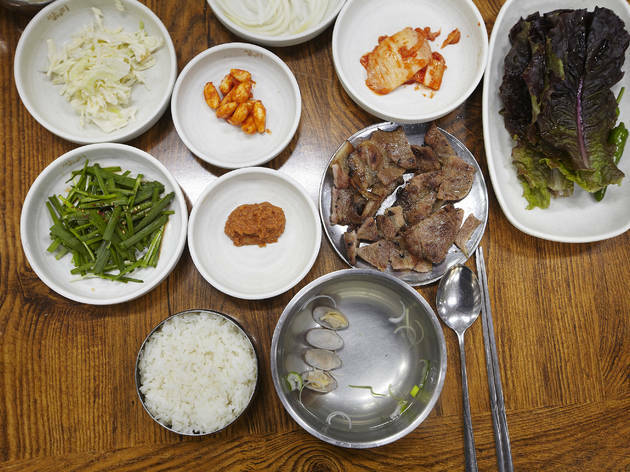 At lunchtime, Ssangdari Bulbaek is filled with taxi drivers from all over the city in search of a simple set that includes rice, side dishes and your choice of soup or meat. 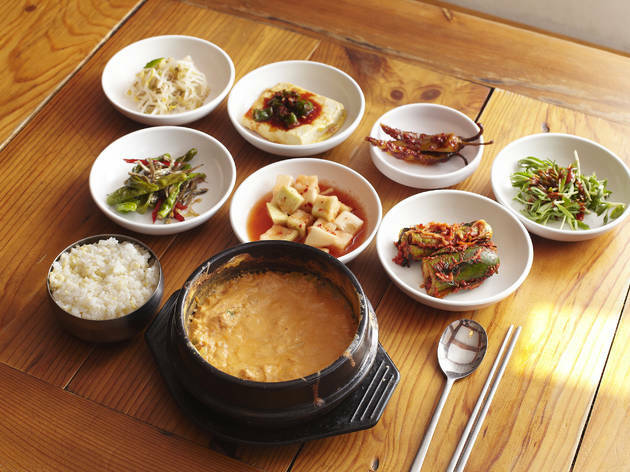 Dimibang takes its name from one of the first Korean cookbooks written during the Joseon Dynasty. 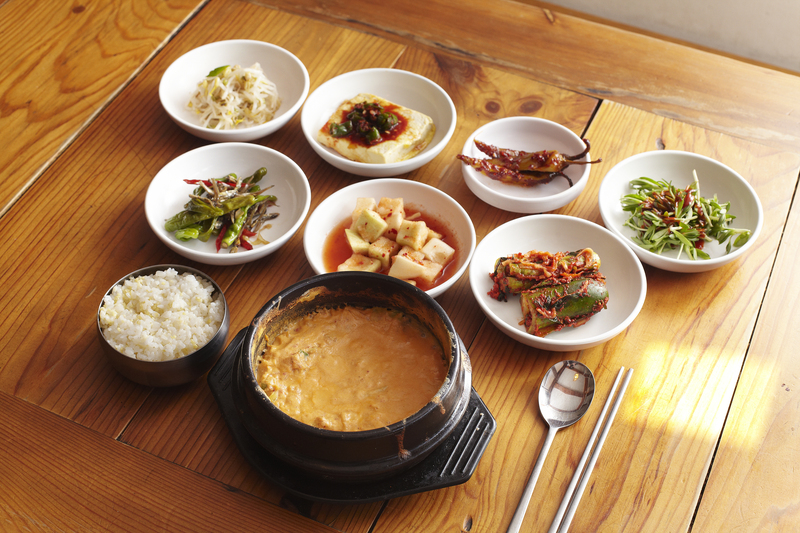 When asked if they use the book’s original recipes, the owners (a couple) shook their heads and laughed, saying: “People today couldn’t eat Joseon food—it’s too bland!” However, the restaurant is inspired by the philosophy of Dimibang, which championed Korean cooking methods and ingredients for maximum flavor. A bite of the soft bean curd soup proves their philosophy true. The rich and soft bean curd is balanced with bright, crunchy leeks and the subtle flavor of pork adds to every bite. 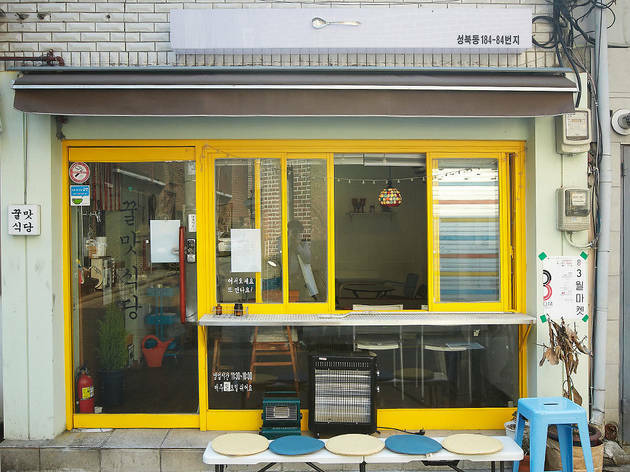 Other popular menu items include the stir-fried pork and beef soup that you can enjoy as hearty meals or with a shot of soju at night. Oborok offers about 13 types of healthy breads that can serve as meals, ranging from white bread to oatmeal whole-wheat bread to cheese baguettes. Everything is baked fresh every day. The breads don’t have that mass-produced feel to them, and you can almost taste the care that goes into them with every crunch. 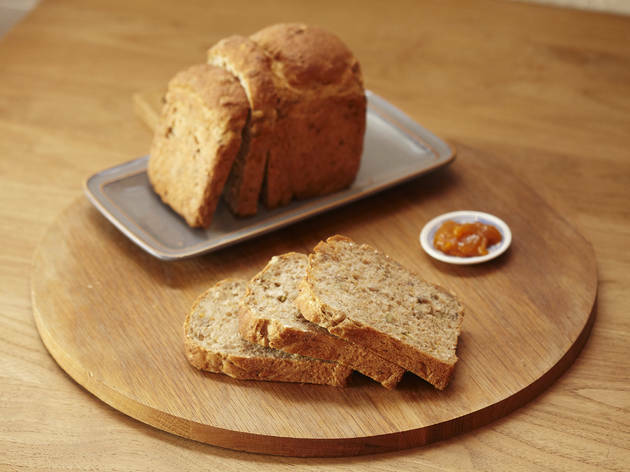 Take a bite of the oatmeal whole-wheat bread with their homemade jam (free if you eat in and available for purchase) to be reminded of the bread your mother used to bake (or wished she had). 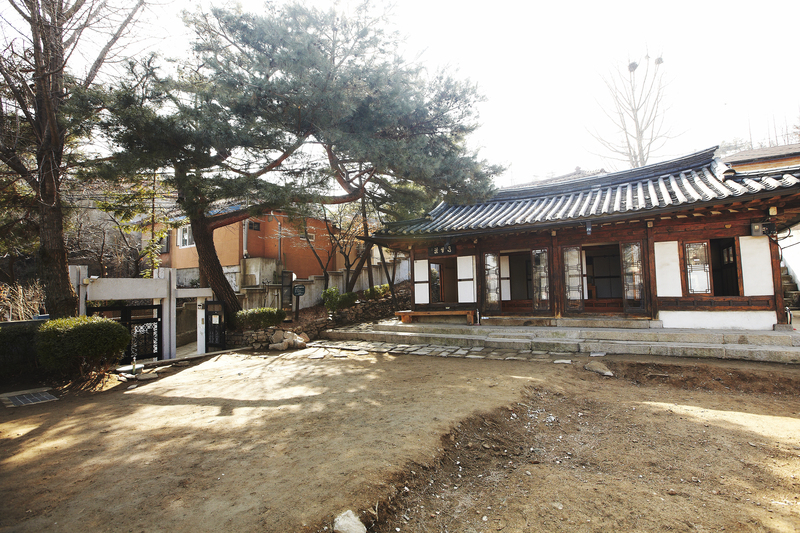 Choi Sunu, former president of the National Museum of Korea and renowned author, made this hanok his home from 1976 to 1984. You can read his masterpiece Leaning Against Baeheullim Pillar of Muryangsujeon (written in Korean) here on the rear dock. 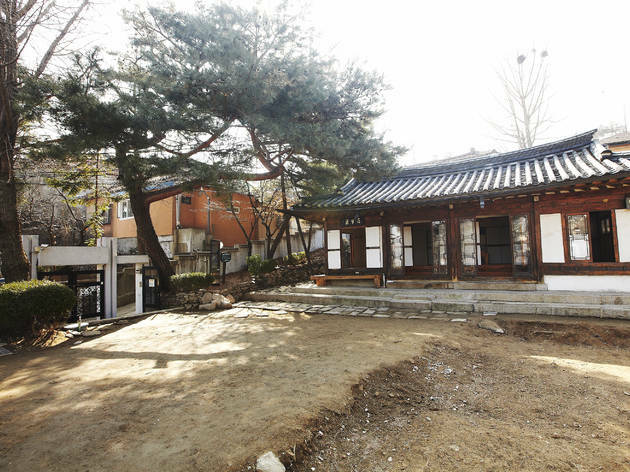 This is the former residence of the monkpoet, Han Yong-un, who went by the pen name Manhae and named his home “Simujang,” which literally means “looking for a cow” and refers to a Buddhist process in which people restore themselves to their original nature. Han Yong-un is largely credited with leading the movement to modernize Buddhism in Korea. 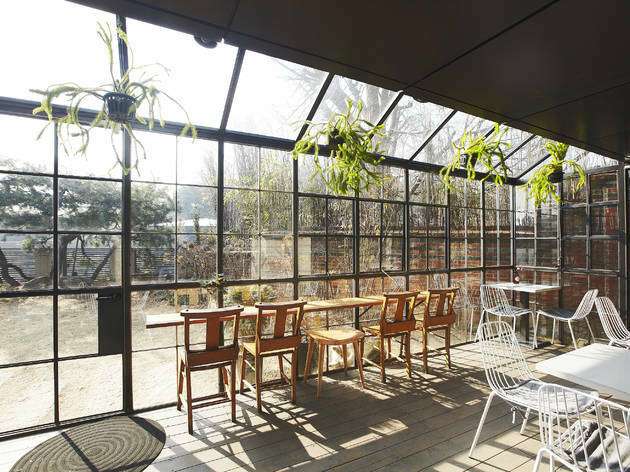 The name of this tea-café, “Suyeonsanbang” literally translates into “a small home in the forest where literary people used to meet” and the title’s appropriate as it was once home to late Korean author Lee Tae-jun. 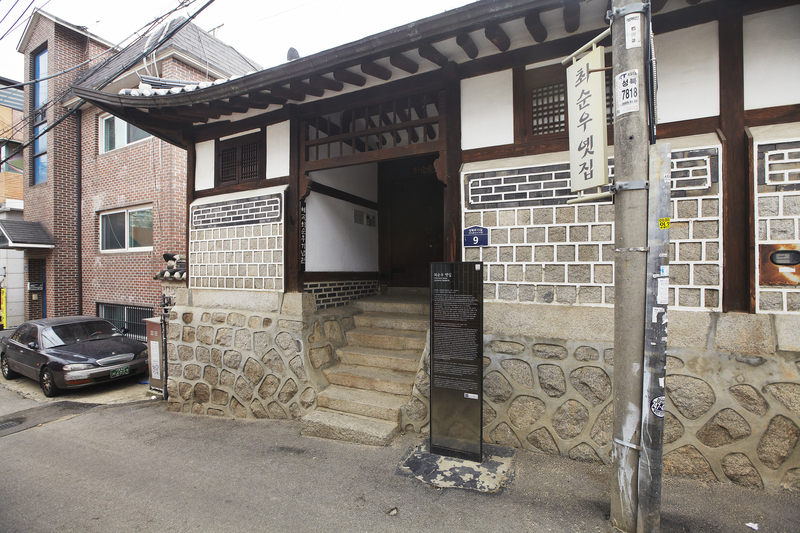 This hanok home served as the backdrop to several of his short stories and was the main setting his 1943 novel, "HaebangJeonhu" as well. 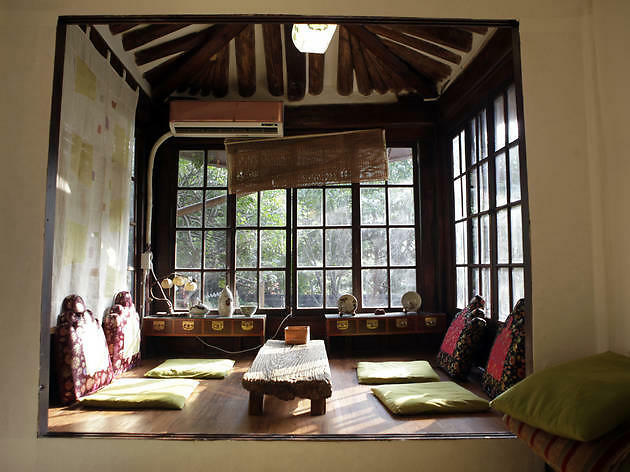 Hidden on the side slope of a hill and tucked behind a rainbow of flowers and a small forest of trees, it’s not hard to imagine how a writer could draw inspiration whilst in this charming hideaway. Talked about on media outlets in Japan, France and the UK, the home consists of several rooms and chairs around the space. 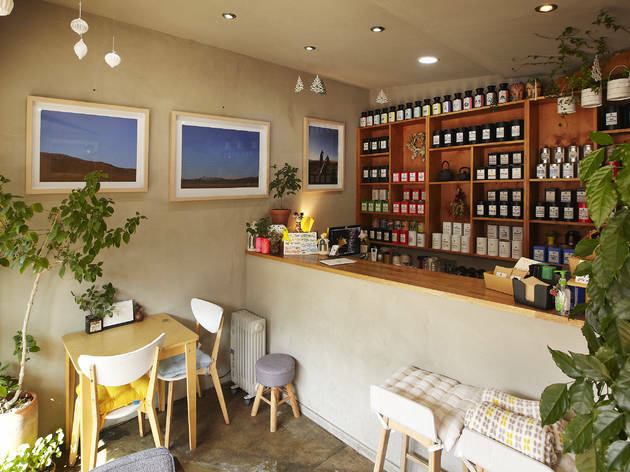 The tea collection on the menu is impressive and their ability to take something like medicinal herb ssanghwa-cha and make it delicious, even more so. 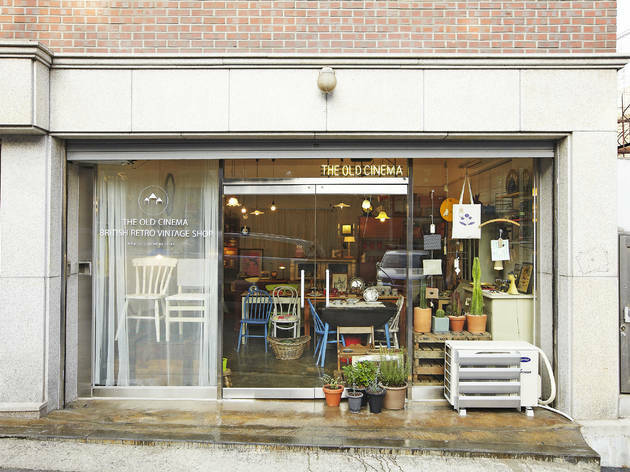 When you get sick of seeing the same mass-produced furniture, check out Old Cinema. 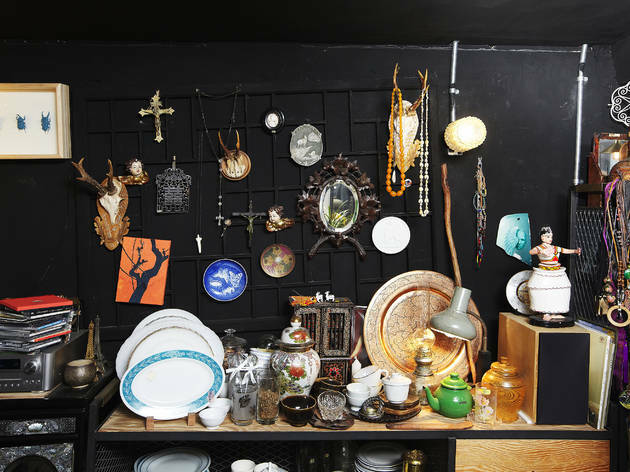 No two items are exactly the same at this vintage furniture store that sells everything from kitchenware to lights and chairs. All the pieces are directly imported from England, but they might’ve spent time in Germany or France before finally arriving here. 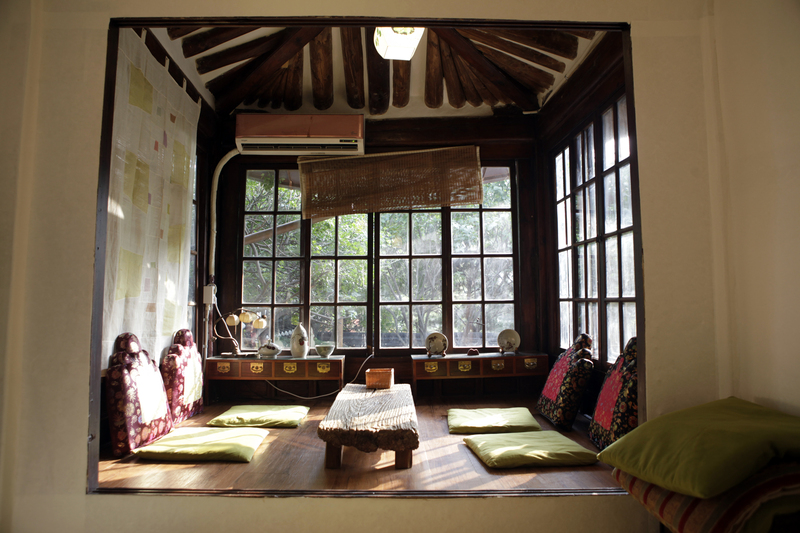 Built in a refurbished hanok, Modern Manmul is a vintage boutique that sells everything from clothes to deer antlers. The small details, like the faint whiff of incense and the unfinished tiles, come together to make it quite a unique space. 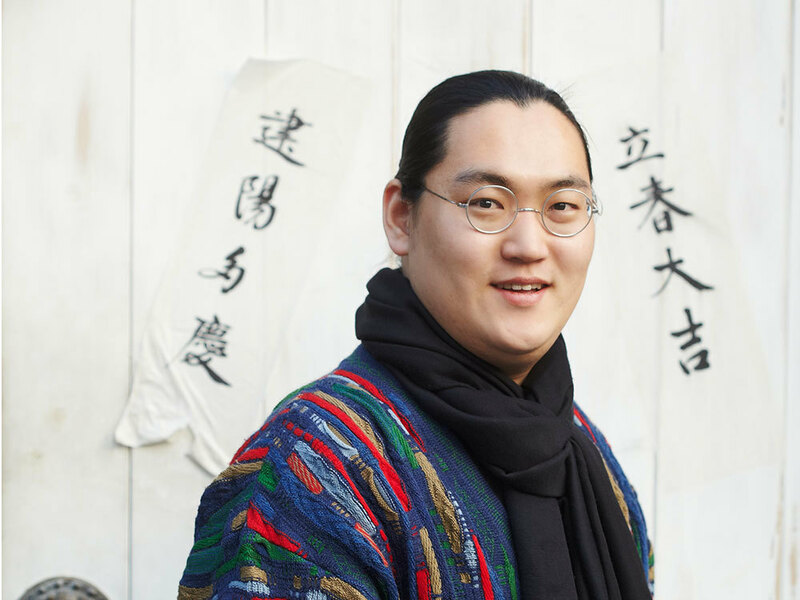 The shop doubles as a workshop for owner Kim Ju-hyung, who is both a jewelry artist and a mudang (a Korean shaman). 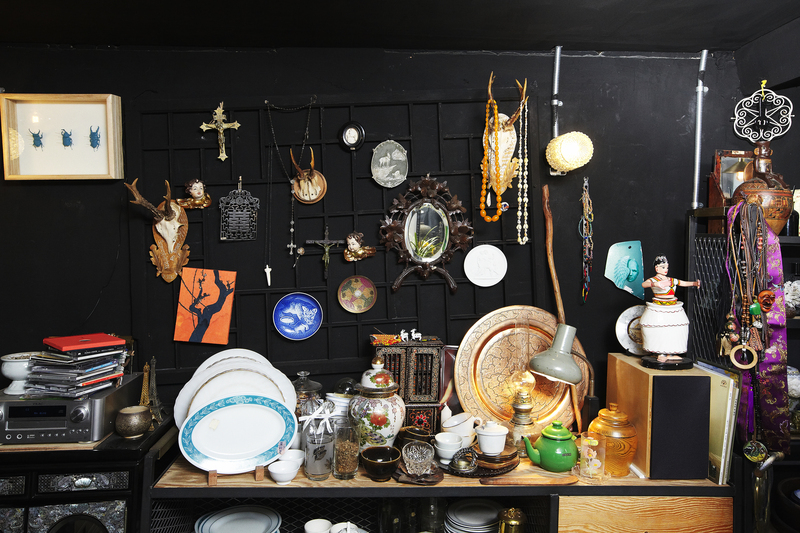 Space O’NewWall opened in 2011 claiming to be a “curating lab” where you can see experimental art. 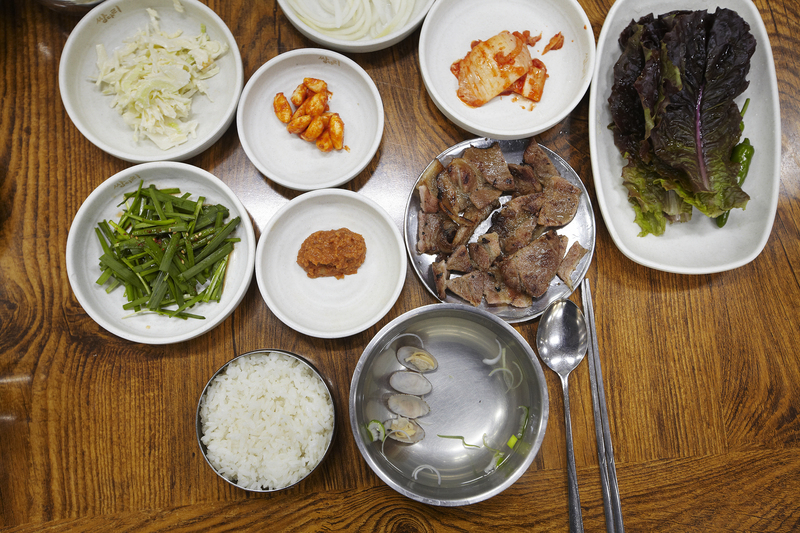 12-6, Seonjamro, Seongbuk-gu (070-4401-6741). CAN Foundation is a non-profit organization that discovers new artists and holds cultural programs for kids and the elderly. 14-4, Seonjam-ro 2-gil, Seongbuk-gu (02-766-7660). 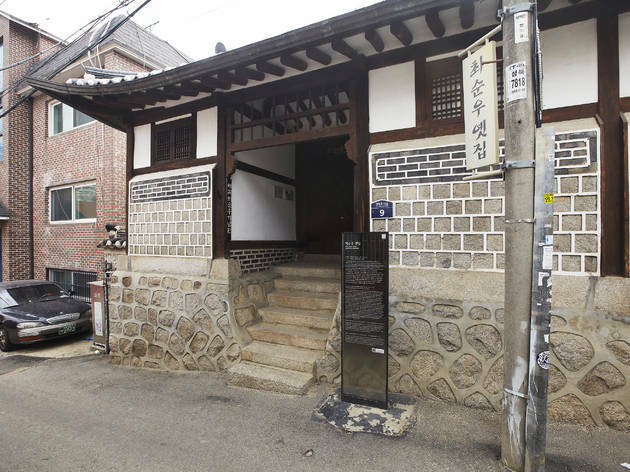 17717 is a gallery, a concert hall and a meeting space for the 17717, which is made up of individuals dedicated to furthering the artistic movement in Seongbuk-dong. 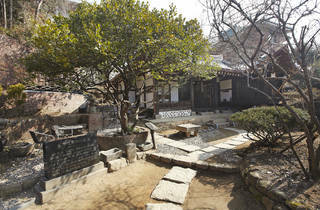 11, Seongbuk-ro 8-gil, Seongbuk-gu (010-4441-7717).